Jon Athan: "A Phantom Passion" Progress Report! Hello! Last week, I formally announced my next horror book, A Phantom Passion. For those that are genuinely interested, I figured it would be nice to share some more details on this project. Fortunately, the book is progressing very well! A Phantom Passion began formal development on December 16th, 2014. I emphasize formal because the idea for this book has been in my head for months. I had been conceptualizing and jotting ideas down since summer of 2014. On December 16th, 2014, I sat down and wrote a formal outline. (I suppose formal is the word of the day.) Approximately a week and a half later, the thorough outline was complete. Consequently, I jumped right into the writing. When I write, I really write. I sit down for hours a day and write until my fingers are numb. Okay, maybe not until then, but I write a lot. Indeed, I write for hours a day with a few health breaks in-between. So, you can expect me to get work done. And, that's exactly what I do - I get it done. So, as of today, I'm nearing completion of A Phantom Passion. The first draft, which I fortunately enjoyed, is nearly complete. So, I'll be spending the next week or two editing - correcting typos and grammar errors, adding details I may have missed, cutting any fat, and so on. So, how about a few details on the first draft, right? Okay, A Phantom Passion is approximately 19,000 words in length. From my editing notes, this may expand to nearly 22,000 words for the completed manuscript. So, this book will be classified as a novella by most standards. The book also features 13 chapters. I don't think that will change for the final product. From a personal perspective, I thoroughly enjoy the story. The climax and ending may be polarizing, but you'll have to wait and see for yourself. 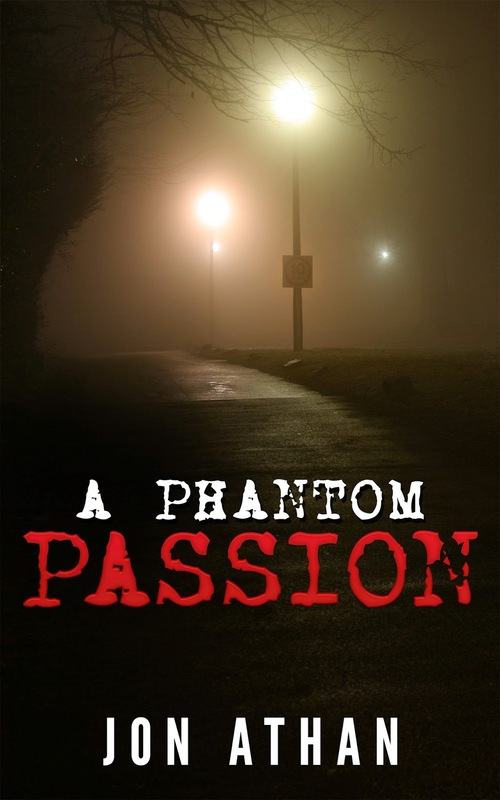 A Phantom Passion releases on February 2nd, 2015 exclusively on Amazon.com! Pre-order options will be available soon! Prepare yourself for a tale of eternal unrequited love, loneliness, and pure horror. Need some horror now? The Tales From Under The Bed series is available on Amazon.com! Tales From Under The Bed Vol. 1 is only $0.99!